I’m Ed Smith, a Sacramento Femur Fracture Attorney. It typically takes a tremendous amount of force to fracture the femur. However, this can become significantly easier if the bones have been weakened. This condition, known as osteoporosis, can increase the chance that someone could suffer a femur fracture. A study was published that demonstrated just how much easier it is to fracture an osteoporotic bone in a traumatic event. It’s not exactly a secret that elderly people appear to suffer bone fractures more often than their younger counterparts. While the body starts to break down with age as a whole, osteoporosis plays a significant role in the disparity of fractures between older people and younger individuals. Osteoporosis is a term that is used to describe a decrease in the bone mineral density of a certain portion of the body. The greater the density of the bone, the more calcification there is in that bone per unit area. Bones that are denser are heavier and, therefore, can more easily resist high-energy forces without breaking. As people age, the body struggles to deposit calcium into the bones, leading to a decrease in the density of this bone. Medical professionals can measure bone mineral density on a DEXA scan and individuals found to have a reduction in their overall bone mineral density are diagnosed with osteoporosis. Osteopenia is a term used to describe the zone between normal, healthy bones and osteoporotic bones. While it makes sense that individuals who have been diagnosed with osteoporosis are at an increased risk of suffering fractures and other traumatic injuries in an auto accident, this hypothesis has not been studied in the past. One study sought to alleviate this. The study was designed as a prospective, cohort study. This means that instead of simply looking backward in medical records, they tracked people as they came in, making for a more objective review. The study followed over eight thousand women and almost six thousand men for over nine years and over five years, respectively. If these individuals suffered a fracture, it was noted so that the individuals could be compared against each other by their bone mineral density once the study was concluded. Watch YouTube Video: Osteoporosis-3D Medical Animation. This educational video provides an up-close look at how the process of osteoporosis occurs. Because the study focused on osteoporosis, the bone mineral density of each participant was graded. Individuals all received a DEXA scan of either their hip or their spine, as is the usual medical protocol in a physician’s office. If an individual suffered a fracture, such as a femur fracture, it was confirmed using imaging procedures. Various imaging modalities may be employed, such as an x-ray, CT, or MRI scan. Without knowing the individual’s bone mineral density, the fractures were either classified as high-energy fractures (such as a truck accident) or low-energy fractures (such as a slip and fall injury). It was important to hide an individual’s bone mineral density so as not to skew the results when researchers were tallying the results. Over the course of the study, over 250 women and close to 100 men sustained a fracture as a result of high-energy trauma. Over 3200 women and close to 350 men suffered fractures from low-energy sources. The results of the study were consistent across both genders. If someone had a low bone mineral density (classified as greater than one standard deviation less than the average bone mineral density), he or she had a significantly increased risk of suffering both a high-energy fracture and a low-energy fracture. This means that people with osteoporosis are at an increased risk of suffering a fracture if they are involved in an accident. As individuals age, the body struggles to deposit calcium into the bones. This leads to a weakening of the bones. In women, this risk is even higher. When women go through menopause, the body loses its source of estrogen. Estrogen is an important component of bone mineral density, and without this hormone, women struggle even more to produce strong bones. This is one of the reasons why there were so much more women in the study and why they sustained fractures at a much higher rate than their male counterparts. It is essential to consume enough calcium while younger to ensure bones are stronger during the later years. Those who are involved in an accident has a higher chance of suffering a femur fracture if their bones are weaker. Future studies should try to break down the fractures by their individual type so that it can be determined which bones are more commonly osteoporotic and which bones are more widely fractured in auto accidents. This study is an important initial step towards quantifying just how much osteoporosis increases the risk of fractures. Furthermore, individuals who fracture bones at an older age often have a more difficult path to recovery. I’m Ed Smith, a Sacramento Femur Fracture Attorney. 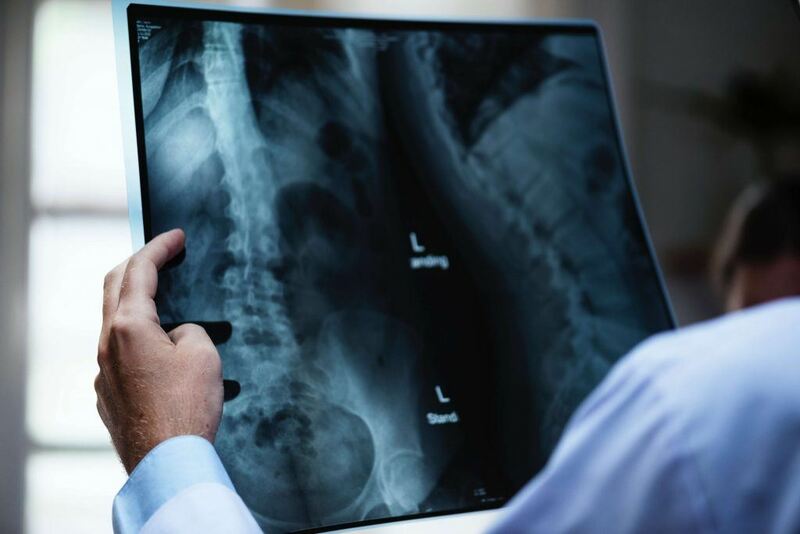 Those who have been diagnosed with osteoporosis are at an increased risk of suffering bone fractures and other traumatic injuries in a car crash. If you've been injured in an accident, call me for free, friendly advice at 916.921.6400 or (800) 404-5400. I am a proud member of the Million Dollar Advocates Forum in the state of California. This is a collection of trial attorneys who have been named along with many of the top attorneys in the United States. The lawyers in our forum have won verdicts and negotiated settlements which have been valued more than $1 million. Please take some time to review our past verdicts and settlements. Our past clients have left ratings and reviews on Avvo, Yelp, and Google.